I don’t know about you guys but I’m always on the look out for deals and sales that help me keep filling the shelves without breaking the bank. There’re always amazing sales going on somewhere, whether it’s your local shops or an online vendor. A sale doesn’t help if you don’t know about it however so I’m from here on out I’m going to do what I can to spread the frugal-love and let you guys know about some great sales you can currently take advantage of. This morning RightStuf posted it’s newest deal (they change them on a fairly consistent weekly schedule): at least 33% off all listed Dark Horse releases! For books that often range on the highside of pricing, this is a good time to pick up some favourites at a price you won’t find everyday. Plus it’s far easier than one may think to buy enough to reach those free-shipping limits… (dangerously so!). There’re pages and pages of books to choose from, ranging from the brutally-fantastic Berserk to the classic genre-inspiring Astro Boy and something somewhat inbetween with the newest volume of the wonderfully creepy Kurosagi Corpse Delivery Service. You can also sneak in a pre-order for the upcoming CLAMP omnibus collection of Magic Knight Rayearth and save yourself $6. Along with lots of manga volumes, there’re also some art books hidden in there as well (including the upcoming Blade of the Immortal). If this was previously announced, then I missed it which mades me sad because I think it sounds really fun. As a fan and follower of Blade of the Immortal since the manga single-issue ‘floppies’ first hit comic store shelves, I think it’d be great enjoying the series in a different media (anime doesn’t count). I wonder how Manji will translate to prose? Tokyopop has a listing for something simply titled Saving Life, which may or may not be the manga of the same-name by Girls Bravo creator, Mario Kaneda. 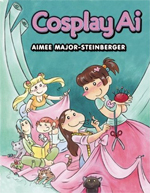 And lastly, GoComi has a listing up for the previously revealed sequel-of-sorts to Aimee Major-Steinberger’s wonderfully charming Japan Ai, titled Cosplay Ai (cover at right). While never having cosplayed myself, I have no doubt that this book will be worth a read and I really look forward it! 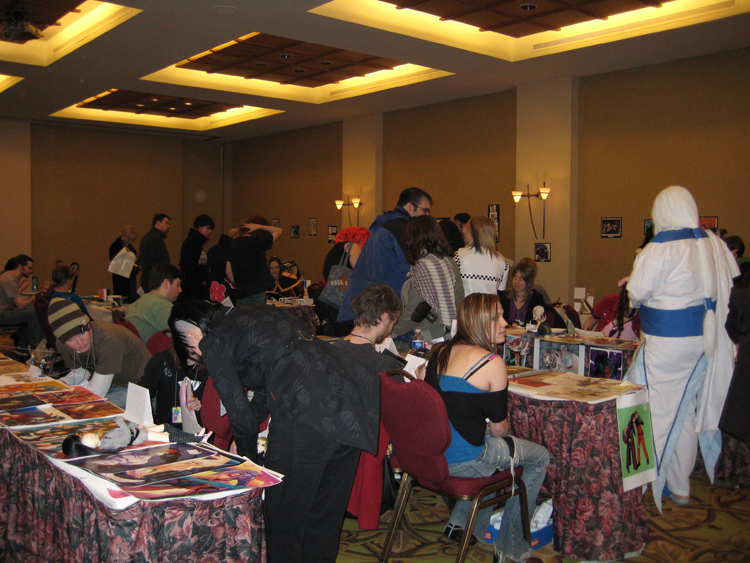 Animaritime is fan-run anime and gaming convention that has taken place in New Brunswick, Canada for six years. Each year it grows with more events and more attendees and this year was certainly no exception. With over 1000 attendees, Animaritime enjoyed its highest attendance numbers yet and brought with it a whole lot more of the fun, activity and lack of sleep that staff and attendees alike have come to expect. I myself am a three-year attendee and two-year staff member, with no plans on stopping being either anytime soon. You can check out Animaritime’s forums if you’d like to learn more about the convention, including people’s thoughts, photos and videos of the recent event. For the curious, Animaritime’s official photographer also has lots of photos for online viewing. 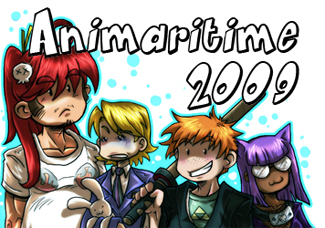 Under the cut I share some of my own experiences at Animaritime 2009 which happened earlier this month, including a short peek at some new purchases and a mish-mashed overview of my panels. Today it’s part two of my little manga publisher look-ats. Part two shares my thoughts on Dark Horse, Seven Seas, Yen Press and ADV Manga. See here for part one. The character designs look good thus far, I’m impressed with how well they took Samura’s distinct style and simplified it, while still keeping the character’s defining shapes. The music seemed a little odd to me, not bad, just different. Blade of the Immortal was one of my first favourite mangas, back when Dark Horse still released it exclusively in floppie form. Too bad buying them in graphic novel form today still isn’t much cheaper. Definately an anime I look forward to. As long time fan of the series, I have to post that Blade of the Immortal (currently being released in NorthAmerica by DarkHorse) is being adapted into an anime. I’ve heard similiar rumours here and there for years so hopefully this one’s the real deal. News courtesy of theOtaku, original reported by Moonphase.